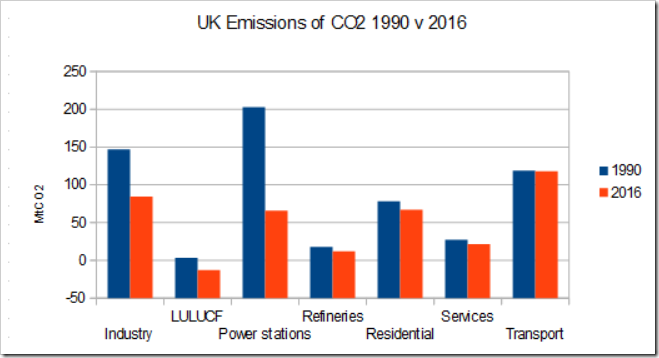 Further to my earlier post on UK CO2 emission trends, I thought it would be useful to produce this handy little summary of the changes between 1990 and 2016. I’ll update to 2018 when the numbers are out. According to my own analysis, more than half of the claimed savings have nothing at all to do with climate policies – reduced industrial demand, dash for gas in the 1990s, and increased electricity imports. So sorry to be thick but what (or who?) is LULUCF? Less emissions effectively means we have planted some new forests, in this case. Stuart – thank you. I stand educated. My fevered imagination prefers a vision of Lulu, however! Ahh. A CO² sink and and a subsidy sink at the same time. Kerching! Interesting that CO2 emissions have fallen, but even more interesting would be a definitive, quantitative, explanation of the mechanism by which CO2 influences global warming. The examination of radiative heat balance does not seem to be agreed, the figures are still, as I understand it, disputed. Certainly its influence upon the level of water vapour in the atmosphere is not well understood. The most promoted views, maximising the effects are of course the official ones, with little scientific rigour to back them up, but giving rise to public anxiety, and eagerness to see action. Which promotes huge business interests of dubious value. Influence, yes, of course, but of what magnitude??? 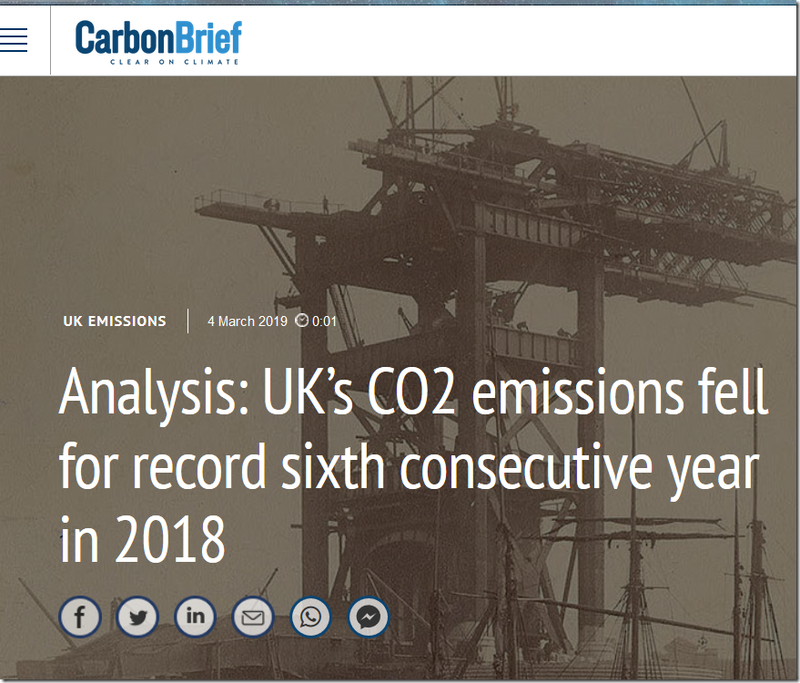 Of course, if the UK would get real with the deployment of shale gas, as the USA has done, the reduction in CO² would be that much lower (assuming a lower CO² is the answer to all the world’s ills). I think it means that the UK is slowly going down the gurgler. Australia will follow, Oligarchs winning. I guess we can use the CO2 data to define the economic decline. How much of the reduction is genuine, and how much due to fiddling the figure? E.g. are the emissions from power stations burning fossil fuels on spinning standby ready to back up wind power get included? Are emissions from aviation included, or the shipping needed to import all the goods that are no longer made in this country?